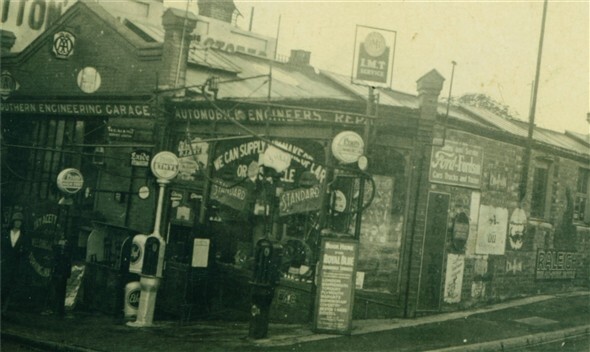 This photograph shows the original garage situated at the top of the High Street and Meeching Avenue (South Way). The proprietors, the Amy family, were residents of Webbers Farm House, and I've included a picture of this fine building, which located just across the road from the garage, and was demolished in 1969. The garage itself was ravaged by fire in 1976 and was completely destroyed. This page was added by Laurie Stonehouse on 06/07/2009. These are fantastic photos of Amy's Garage and Webber's Farm House. 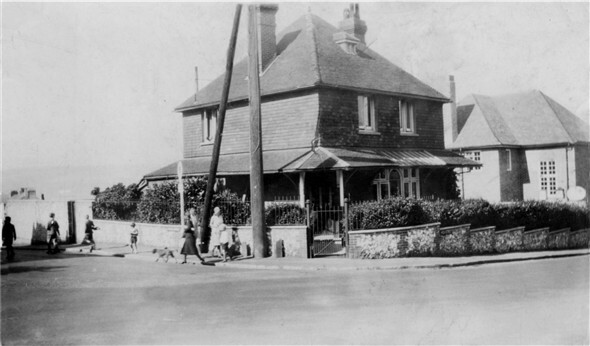 I use to live in Brighton Road and during the 50's and 60's I passed these buildings every day of the week on the way to the town. My Mum bought my first bike from the Garage in about 1957. I was working at Ferguson's on Denton Island at the time of the fire in 1976 which occurred on a weekday, and at lunchtime on the day of the fire, some of us walked 'up the town to view the scene'. A cloud of thick black smoke from the burning tyres hung over the town and the building was completely destroyed. With regard to Webber's Farm House on the other side of the road in the bottom photo, if I remember correctly, the building next-door to the house is the old telephone exchange, then after that came Gray's the opticians and then the Wool Shop. Is my memory correct ? I grew up in Newhaven in the 1950s/60s. 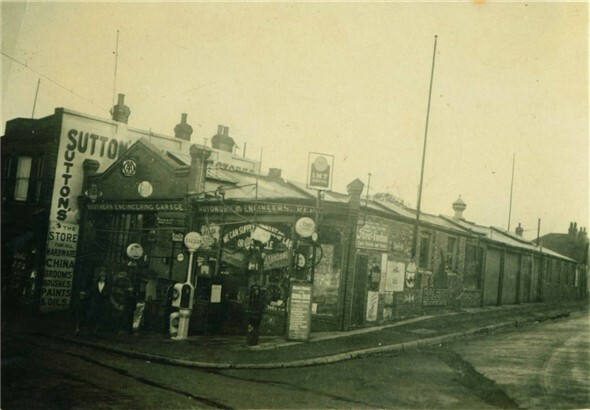 I lived in Saxon Road and whenever I walked down the town, I would always go round behind the petrol pumps as a short cut. Nobody ever complained. Amy's was the only place in town to sell dinky toys when I was a boy. I used to save up until I had 1s 9d and pay a visit. Loved the smell of the place.